The University of Mississippi is committed to compensating employees on a basis that reflects the labor market. A market-driven compensation structure, such as the Variable Compensation Plan (VCP), is a viable approach to facilitate the achievement of this goal. Specifically, the VCP is a managerial tool developed for the purpose of administrating base pay among employees. The VCP assumes that pay-rates are a product of the labor market. Like all commodities, it simply becomes a matter of supply and demand. Therefore, rates based on the labor market should ultimately represent such factors as ability, education, training, skill, and experience. It is important to recognize that while the VCP focuses on base pay-rate administration, other factors such as shift differential pay and employee benefits also contribute to an individual’s overall compensation package. For example, an employee may receive benefits in the form of employer-paid insurance, personal leave, major-medical leave, paid holidays, compensatory time, retirement, unemployment insurance, workers’ compensation insurance, and employer contributions to social security. Within the public sector, employer costs for these benefits can be as much as twenty‑five to thirty percent or more of an employee’s base pay. While the VCP does not specifically address these additional factors, they ultimately constitute a “hidden pay check” for the employee, and should be considered as part of the complete compensation package. A compensation plan is a set of policies and procedures governing the level, form, and variety of compensation received by members of an organization. A sound, market-driven compensation plan should provide clear position definitions, assess competitive wages in the labor market, establish rate minimums for the different position-types, and allow for ease in administration. In addition, a market-driven compensation plan can be structured to include extra pay for shift work, additional pay for temporary assignments, and ultimately be administered in a manner that stimulates productivity. The VCP represents an ideological shift in the administration of public employee compensation. Progressive public administrators recognize that in order to attract and retain valuable, highly-qualified employees, compensation must be competitive with the private sector. Hence, the role of compensation plan administration has been expanded, with a greater emphasis placed on understanding the competitive labor market value for positions. The VCP is structured so that it can accommodate the influence and demands of the economic environment, federal and state legislation, management philosophies of administrators, and needs of employees. The VCP is intentionally designed to provide administrators a great deal of flexibility in managing employee pay while assuring equity in rate administration consistent with the availability of funds. The VCP, when linked with performance measures, provides a viable, objective, and equitable means of granting rate increases and rewarding employees. One defining characteristic of the VCP is the Pay-Rate Step Chart. The VCP incorporates a step chart containing different rate amounts (see Step Chart tab Under HR/Compensation), any one of which can be assigned to an individual or a position-type as a starting rate. Unlike other pay structures, only .5% separates the pay steps within the VCP variable rate structure. The extensive number of steps and the nominal percentage differences between each step provides for a high degree of flexibility in setting and adjusting salaries. The VCP is a viable method for assigning a minimum rate for position-types based upon labor market data. This section presents key characteristics of the VCP for the purpose of developing a basic understanding of the plan’s administration and maintenance. In addition, specific features of the VCP will serve to demonstrate that the universally accepted requirements of a sound compensation plan are satisfied. Provides a systematic method of assuring fair and equitable compensation. Provides rates that can be matched with prevailing wages. Includes a .5% difference between steps which is applied throughout. Provides flexibility in determining compensation rates at time of hire or transfer. Accommodates additional compensation for such reasons as shift work or temporary assignment. Accommodates for performance pay adjustments. Provides a usable tool for projecting future budget requirements. Provides a means for compensation assessment by management. The VCP Pay-Rate Step Chart contains numbered steps. The rate for each step is calculated by computing a .5% increase to the annual rate, rounded to the nearest whole dollar. For convenience in administration, these amounts are converted and listed as annual, monthly, and hourly rates. Each component of the VCP serves a specific purpose and can be modified without affecting other parts. The University of Mississippi has the flexibility to incorporate these components to reflect the mission and the performance criteria established for each employee of the University. Establishment of these separate components allows for accurate accounting of personnel costs and enables the University to target funds to address specific compensation needs. Additional Compensation: Examples of additional compensation include Temporary Assignment Adjustments. The plan allows the University to authorize additional compensation on a case‑by‑case review without effecting the integrity of the plan. Base Pay-Rate Administration: This describes the set of procedures governing the administration of employee base pay. The base rate structure and procedures can be modified to stay current with the expressed goals and objectives of the University. Productivity: The plan is designed to accommodate rate increases based upon performance. Productivity and merit awards may be granted by the University administration without effecting the integrity of the plan. Professional Development: Current University policy authorizes the awarding of pay increases to employees who participate in certain educational programs. Degrees and work‑related certificates are evaluated on an individual basis, and approved increases are allowable within the guidelines of the plan (see The University of Mississippi Policy Directory for details). Realignment: This is the process by which the pay-rate range assigned to a position-type is adjusted on the basis of market data. Periodic compensation surveys are conducted in the public and private sectors. These surveys provide the necessary information to identify those position-types needing realignment. This process enables the University to remain competitive with other entities in the public and private sector. Realignment may result in an increase or decrease in a position-type’s starting rate. A decrease in the start rate of a position-type will not reduce the pay-rate for current employees; the effect is to reduce the monetary rate at which new employees are hired. Likewise, an increase in the start rate of a position-type will not necessarily equate to an increase in incumbent pay-rates. However, if an increase among incumbents is deemed appropriate by the University administration, a parity-factor approach will be applied in an effort to address potential compression within a position-type. Periodic compensation surveys and subsequent realignments address the effects of external pressures, such as cost-of-living. Transfer Adjustments: A key component of any compensation plan is the body of rules governing the adjustment of employee pay-rates as a result of promotional, demotional, or lateral transfers. Some measure of the degree of change in duties and responsibilities is needed if the rate adjustment is to appropriately compensate the employee. The start rate assigned to a position-type is an appropriate indicator. The difference between the start rate of the new position and the start rate of the previous position is used to calculate allowable rate adjustments for promotional, demotional, or lateral transfers (see Section 2.4). The VCP uses a variety of terms that are not common to all administrators. This section provides definitions to a number of specific terms used in the plan. Compensation Survey: A compensation survey is an instrument used to collect relevant data and is used in determining the pay-rate ranges assigned to each position-type. Survey data is collected from selected institutions, governmental agencies, and organizations representing the relevant market; and contains information concerning pay-rate ranges, and/or individual pay-rates. Current Step: The step on the Pay-Rate Step Chart representing an employee’s present level of compensation. An employee’s current step is the highest available step that does not exceed the individual’s actual rate of pay. Maximum Rate: This is the maximum amount authorized to pay an individual within the framework and guidelines of the VCP. This rate is only calculated and relevant in initial hiring situations or when an employee is transferring from one position to another within the University. Parity Factor: A factor used to address potential compression within a position-type resulting from a pay-rate range realignment. Pay-Rate Evaluation Period: A period of time that provides supervisor’s the opportunity to make a determination as to an appropriate rate of pay for a new hire or transfer. The Pay-Rate Evaluation Period is equal to the employment probationary period (as defined in The University of Mississippi Policy Directory ) or 90 days following the hire/transfer, whichever is greater. Position-Type: A position-type consists of one or more positions that are sufficiently similar in nature; to include the type of work performed, minimum education requirements, minimum experience requirements, and minimum physical requirements. Position-types are categorized into Job Classifications and EEO groups. Each classified position-type is assigned an exempt / non-exempt status as defined by the Fair Labor Standards Act (FLSA); a pay-rate range which can be expressed as either a monetary value or a step; a position description which includes tasks and requirements; and a title which is generally descriptive of the work performed. Reclassification: A change in position-type classification, reflecting a substantial change in duties and responsibilities. The VCP provides administrators a great deal of authority and flexibility. Management of the VCP challenges administrators to understand the depth of implications associated with variable pay. Administrators must objectively assess the staffing needs of the University, the productivity of the organization, and each employee in the organization. Responsibility is associated with this authority and flexibility, therefore, compensation decisions must be made with due diligence and deliberation. Through the VCP, The University of Mississippi is responding to philosophical changes in base pay administration. As a management tool, the VCP provides administrators the flexibility and opportunity to make decisions that were previously unavailable. However, the VCP cannot generate funds. The challenge remains for administrators to be creative when operating with limited funds. With budgetary limitations, innovative and highly selective approaches to developing University organizational structures, administrative policies, and personnel management practices are required. Administrators must continue to develop cost‑effective means to resolve funding problems effecting employers and employees. Administration of the VCP is governed by this “Policy and Procedures Manual or The Variable Compensation Plan”. These provisions shall supersede all conflicting policies and procedures for administration of base pay published by The University of Mississippi and any policy memorandum governing administration of base pay for the University for preceding fiscal years. 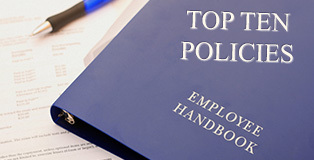 These policies govern employee base pay and position changes for covered staff employees and positions subject to the authority of The University of Mississippi. Additional Compensation – Additional compensation includes professional development, shift differential and temporary assignment pay. Employee Productivity – Productivity and merit increases should be supported by appraisal of employees’ performance by supervisors and administrators. Realignment – Realignment adjustments may be awarded at the discretion of the University administration based upon availability of funds, and internal and external equity considerations. Realignment increases may become effective immediately or at the beginning of a Fiscal Year (July 1). Pay-Rate Evaluation Adjustment – Upon the completion of the Pay-Rate Evaluation Period, an adjustment may be made to an individual’s rate of pay. Guidelines governing this adjustment are covered in the section titled “Adjustment Following the Completion of a Pay-Rate Evaluation Period” (see Section 2.4.A). New hires and transfers may be eligible for a rate increase upon completion of a Pay-Rate Evaluation Period. These adjustments are at the discretion of the appointing authority, but cannot be given until the completion of the Pay-Rate Evaluation Period. The maximum authorized rate upon completion of the Pay- Rate Evaluation Period is equal to the calculated maximum transfer rate, or the maximum “New Hire Flexibility” rate (see Section 2.4.D), whichever is greater. The Demotional Transfer Calculation is based on a percentage (%) decrease by subtracting the new position start step from the current position start step. The percentage of the employee’s current salary is then deducted from the employee’s pay rate. Percentages are maintained by Human Resources. Upon completion of the Pay-Rate Evaluation Period, employees may be eligible for a pay-rate adjustment (see “Adjustment Following the Completion of a Pay-Rate Evaluation Period,” Section 2.4.A). In the rare situations where demotional transfers are made for the good of the University, individuals may retain their current rate with appropriate justification. Moving to another position-type with the same start rate is considered a lateral transfer. All lateral transfers use the new-hire flexibility range as the calculation method. If the incumbent’s current salary is above the new-hire flexibility range and the hiring department has the funding to pay at the employee’s current pay rate, no change in pay is required. The appointing authority has the flexibility to request that a new hire be appointed at a rate anywhere between the start rate of a position-type plus 30 steps (approximately 15%) for non-exempt positions, or plus 50 steps (approximately 25%) for exempt positions. The flexibility shall be objectively applied and will be implemented upon the appointing authority’s approval. All requests to recruit and/or appoint a new hire at a rate exceeding the assigned start step by more than 30 steps for non-exempt positions, or more than 50 steps for exempt positions, are to be submitted in writing for consideration by the Department of Human Resources. Such requests will be accompanied by a memorandum of justification from the appointing authority describing the critical nature of the position to be filled, any special qualifications to be used as selection criteria, unavailability of satisfactory candidate at the authorized rate, or other special circumstances. Moving to a position-type with a higher start rate is considered a promotional transfer. The maximum transfer rate for a promotional transfer is determined through the provisions in this sub-section. In situations where the promotional increase authorized under the following formulas is less than the rate that could be authorized for a new hire, the guidelines governing “New Hire Flexibility” (see Section 2.4.D) may be applied. When an employee’s current step is below or equal to the start step assigned to the position from which promoted, the promotional maximum rate is determined under the provisions governing “New Hire Flexibility” (see Section 2.4.D). When an employee’s current step is above the start step of the new position, the Promotional Transfer Calculation is:(Individual’s Current Step) plus ((the difference between the Start Step of the new position-type and the Start Step of the current position-type) divided by 2). If the promotional increase authorized under the above promotional transfer calculations, to include “New Hire Flexibility,” is less than 20 steps above the employee’s rate before promotion, a 20‑step promotional increase is authorized as a maximum rate. The authorized rate upon return from a leave of absence or reduction in force to the same position-type, or a position-type with the same start rate, within the fiscal year of separation, is the pay-rate at the time of the separation. The authorized rate upon return from a leave of absence or reduction in force to the same position-type, or a position-type with the same rate, within a different fiscal year and within 12 months of separation, is no more than the rate at the time of separation plus any realignment or other general compensation adjustments effected since that date. The authorized rate for an individual returning to employment after 12 months of separation is determined under provisions for “Original Appointment and Pay-Rate Determination” (see Section 2.4.D) without regard to the initial reason for separation. NOTE: Other considerations are given to employees returning from a military leave absence as defined by USERRA (see The University of Mississippi Policy Directory for details). Reclassifications can be categorized as downward, lateral, or upward. The rate authorized for a downward reclassification of an occupied position is determined under provisions for “Demotional Transfer and Pay-Rate Determination” (see Section 2.4.B). The authorized rate for a lateral reclassification of an occupied position is determined under provisions for “Lateral Transfer and Pay-Rate Determination” (see Section 2.4.C). Where an upward reclassification of an occupied position is approved, the authorized rate is determined under provisions for “Promotional Transfer and Pay-Rate Determination” (see Section 2.4.E). Staff employees are frequently asked to assume additional duties primarily due to the temporary absence or separation of another staff employee. When the extra duties are performed for only a brief period of time, normally no more than 30 working days, no additional compensation will be authorized. If additional duties are required for a period of time longer than 30 working days, additional compensation may be warranted. If the employee’s current position and the “interim” or “acting” position are both classified, the authorized maximum rate will be determined based upon the guidelines provided under “Promotional transfer and Pay-Rate Determination” (see Section 2.4.E). If either of the positions are not classified, the maximum “interim” or “acting” rate maybe established at 85% of the rate of the position being assumed, based upon compensation surveys maintained by the Department of Human Resources, or 10% more than the individual’s current rate, whichever is greater.